Britain said on Tuesday it was deeply disappointed by Honda's decision to close its only British car plant. "The UK is one of the leaders in the development of these technologies and so it is deeply disappointing that this decision has been taken now," Business Secretary Greg Clark said. "This is a devastating decision for Swindon and the UK," Clark said. "This is a commercial decision based on unprecedented changes in the global market." Honda said it had informed employees about what it called its "proposal" to close the Swindon plant. 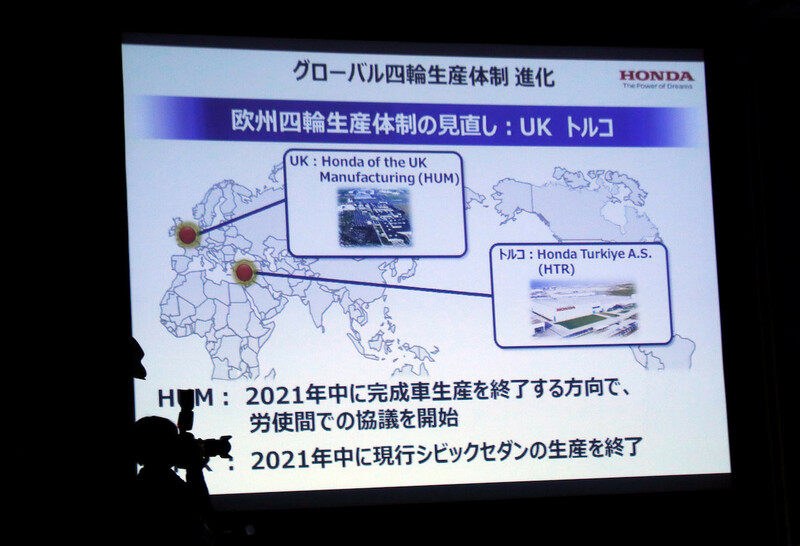 "Honda of the UK Manufacturing has today informed associates (employees) of the proposal to close its Swindon vehicle manufacturing plant, at the end of the current model’s production lifecycle, in 2021," Honda said in a statement.